Using the outdoors as a classroom is a great way to get students excited about science and make connections to the real world! 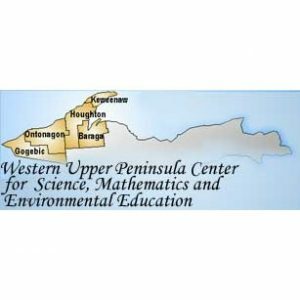 Since 2001, the Western Upper Peninsula Center for Science, Math & Environmental Education, in partnership with the Center for Science & Environmental Outreach at Michigan Technological University, offers outdoor learning experiences in science and environmental education for K-12 students in the five western counties of the Upper Peninsula. Field trip activities enhance classroom learning and are correlated to Michigan Grade Level Content Expectations for Science and Math.. During the activities, students utilize many science and math skills such as observing, predicting, data collecting, recording, graphing, analyzing and drawing conclusions. times. After we receive your request form, we will schedule your field trip and send you a confirmation letter. Field trips are available to schools in the CCISD and GOISD school districts. the season for the total number of field trips provided for each school during that season. Students will observe some of the unique structures and functions of organisms, investigate how plants and animals are adapted to their environments, and participate in multiple activities. Michigan GLEC’s: SCI: S.IP.03.11-15; S.IA.03.11-15; S.RS.03.18; E.ES.03.52. Students will go on a scavenger hunt to look for signs of wildlife. Through two activities, “Oh Deer!” & “How Many Bears?”, students will investigate factors influencing organisms’ survival and population growth. Michigan GLEC’s: SCI: S.IP.04.11-14; S.IA.04.12-14; S.RS.04.15,18; L.OL.04.16.L.EV.04.21-22. How are spiders different from insects? How are they similar? The students will learn about different types of spiders and insects while searching for webs, egg cases and other evidence. They will carefully record and analyze the data collected. Students will not handle spiders or insects. Michigan GLEC’s: SCIS.IP.04.11-14; S.IA.04.12-14; S.RS.04.15,18; L.OL.04.16. L.EV.04.21-22; L.EC.04.11.21. Students will collect, identify and inventory aquatic macroinvertebrates in one of our local streams. They will examine the organism’s role in the food chain and as indicators of water quality in the environment. Michigan GLEC’s: SCI: S.IP.05.11-16; S.IA.05.11-13; L.EV.05.11-12. Students will learn what a fungus is and about its role as a decomposer is in the forest ecosystem. We will hunt for the fruiting bodies (mushrooms) of fungi and classify what we find according to the nine major divisions of mushrooms. Michigan GLEC’s: S.IP.06.11-16; S.IA.06.11-13; L.OL.06.51-52. L.EC.06.22-23. 370-1052 at least 2 hours in advance (3 hours for Gogebic/Ontonagon schools). Technology, Engineering, and Math (STEM). 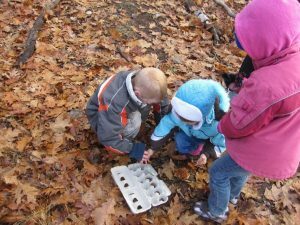 The Outdoor Science Investigation Field Trip Program has been funded since 2008 with a grant from the Wege Foundation to Michigan Tech. respectively. In 2016, another grant from the Keweenaw Community Foundation is funding technology to support outdoor investigations. The field trip program is coordinated by the Michigan Tech’s Center for Science and Environmental Outreach and the Western UP Center for Science, Math and Environmental Education. It is funded in part by the Michigan Stem Partnership and the Wege Foundation.